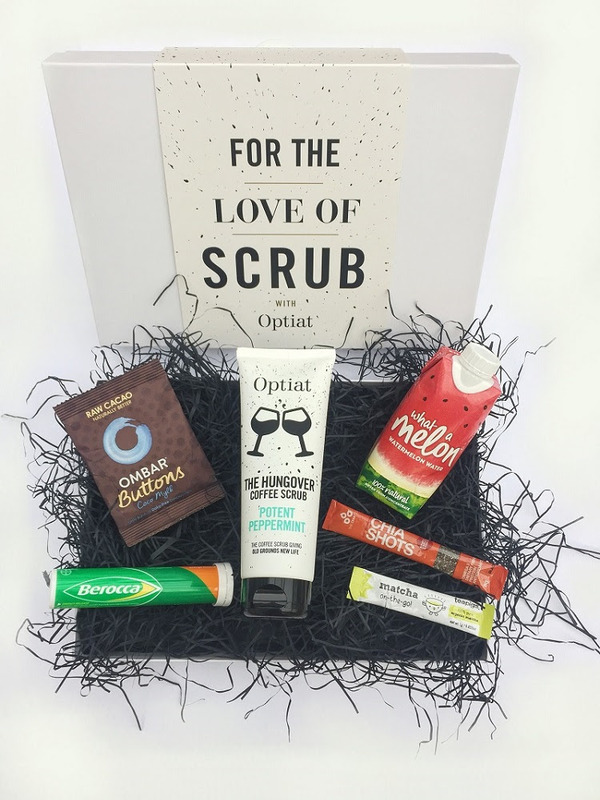 Today I wanted to bring you something from one of my favourite coffee scrub brands, I wanted to let you know about something new from Optiat, new gift sets which make the Christmas present for all those people in your life you're still struggling to buy for!! ! 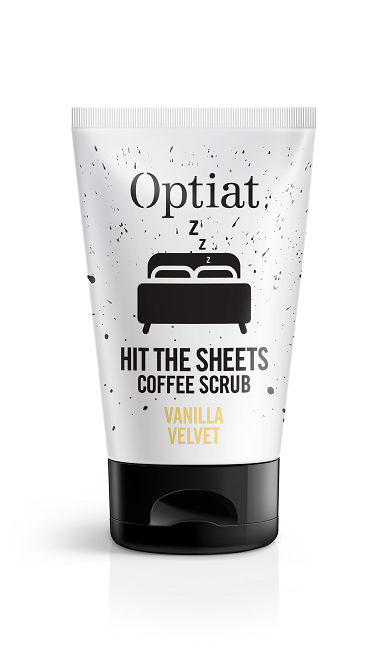 I've tried Optiat's scrubs before and I absolutely love them!! Read my review post guys! They have recently re-branded themselves and now their scrubs come in tubes, which make their scrubs so much easier to use, no more struggling with fiddly jar lids (as per my previous review!) with wet hands! Now you simply pop open the lid and squeeze out the amount you need! Perfect if you're just wanting to scrub your legs ready for a night out! Think of all the time you'll save getting ready for your Christmas Party!! The best thing about Optiat is that they use recycled coffee grounds from over 50 coffee shops, cafes and restaurants, so you can rest assured that you're helping the planet whilst scrubbing away and who doesn't love being green with their Christmas presents!? With just over a week until Christmas, there's never been a better time for a personalised gift that's fun, quirky and includes 1st-class delivery with each order! 1x Potent Peppermint Coffee Scrub, 1x Watermelon Water, 1x Chia Shot, 1x Matcha Tea Sachet, 1x Berocca Tube, 1x Chocolate Buttons. 1x Mouthwatering Mandarin Coffee Scrub, 1x Compact Mirror, 1x Chewing Gum, 1x Mocha Lip Balm, 1x Toothpaste, 1x Nail File. 1x Vanilla Velvet Coffee Scrub, 1x Eye Mask, 1x Coconut Tea Bag, 1x Candle, 1x Chocolate Buttons, 1x Sleep Socks. 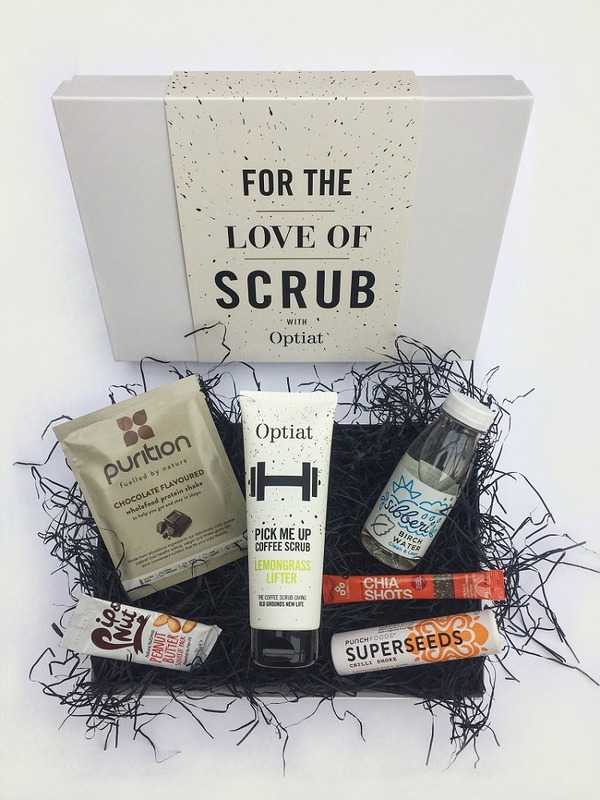 So I hope you've enjoyed reading all about Optiat's newest additions and have perhaps found something for that special person in your life or perhaps a little treat for yourself, non??? I wouldn't blame you!! Christmas can be stressful, you need a little pamper treat!! Read my Christmas Gift Guide Post if you haven't already, packed to the brim with presents for everyone. Merry Christmas to all of my readers, hope you get what you wished for from Santa.